The judge in Manafort's case tells prosecutors not to mention collusion. Though "Russia" and "collusion" are words that have appeared in headlines about the work of special counsel Robert Mueller, they are not words to be uttered during the coming trial of Paul Manafort. On Monday, Judge T.S. Ellis -- the 30-year veteran of the bench who will preside over the Virginia trial of President Trump’s one-time campaign chairman -- instructed the prosecution that "collusion" was off limits, as well as the mention of "Russians." Prosecutor Greg Andres readily agreed, adding, "We don’t intend to mention alleged collusion with the Russians," noting that only "a very small portion of the trial" will mention collusion -- but only insofar as it relates to the government’s claim of a quid-pro-quo relationship in which Manafort received bank loans allegedly in exchange for a Trump campaign position for a former bank chairman. A pool of 70 potential jurors for the Manafort case filed into federal court in Virginia on Tuesday, none told in advance anything about the case, each looking around quizzically as reporters observed them from the opposite side of the room. Manafort's trial is scheduled to begin on Tuesday, while a trial in Washington, D.C., is slated for mid-September. (Brooks Kraft/Getty Images) Donald Trump, Campaign Manager Paul Manafort, and his daughter Ivanka Trump do a walk thru at the Republican Convention, July 20, 2016, at the Quicken Loans Arena in Cleveland, Ohio. Each person in the jury pool, culled from the tony suburbs of Alexandria just minutes from D.C., filled out a questionnaire to determine whether or not he or she could fairly and impartially sit in judgment of Manafort, who was sitting nearby -- no longer in a jail-issued jumpsuit but in a dark blue suit. Those forms -- designed to query a potential juror's knowledge and possible biases toward Manafort -- were then left with the court and placed under seal, though copies also were to be shared with both sides in the case for use in next week's selection process. But none of those men and women, a majority of whom appeared middle-aged, will hear all about the highly publicized allegations of collusion between the Trump campaign and Russia, the investigatory mandate of special counsel Robert Mueller's prosecutors. "There's a lot of 403 potential here," the judge warned, using legal jargon to refer to evidence that might be relevant but is far outweighed by its prejudicial or misleading value, adding that prosecutors need to "be cautious." Essentially, the case in the Eastern District of Virginia is focused solely on alleged financial crimes, from tax evasion to bank fraud -- a straight white-collar criminal case, according to numerous legal experts ABC has consulted. 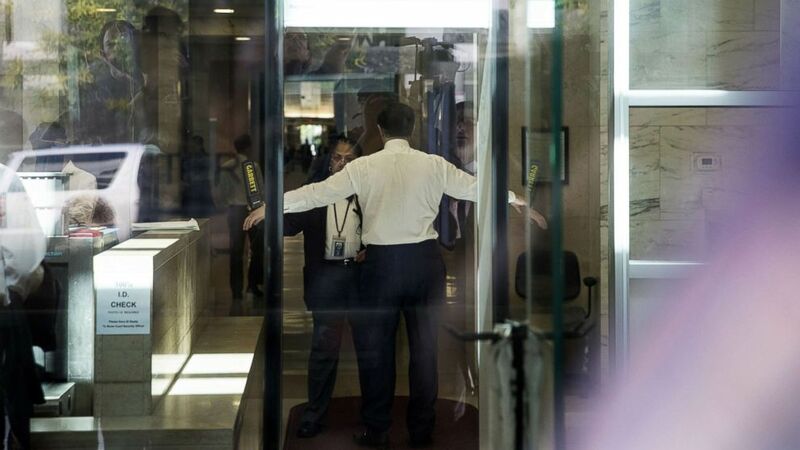 (Alex Wroblewski/Getty Images) Former Trump campaign manager Paul Manafort walks through security at the William B. Bryant Annex to the E. Barrett Prettyman U.S. Courthouse on June 15, 2018 in Washington, D.C.
Those alleged financial crimes, for which Manafort has pleaded not guilty, were discovered as part of the sweeping mandate Mueller has -- including a probe for any crimes that might arise from an investigation into the Trump campaign's possible ties to Russia. The separate case against Manafort in Washington is entirely different. There, the subject of the veteran lobbyist and public relations tactician's alleged ties to Russian-connected politicians in Ukraine is replete with mentions of the Kremlin, from a longtime Manafort associate with ties to Russian intelligence to the "pro-Russia political party in Ukraine," for which the defendant had done work for years, all of this alleged in a superseding indictment in the District. 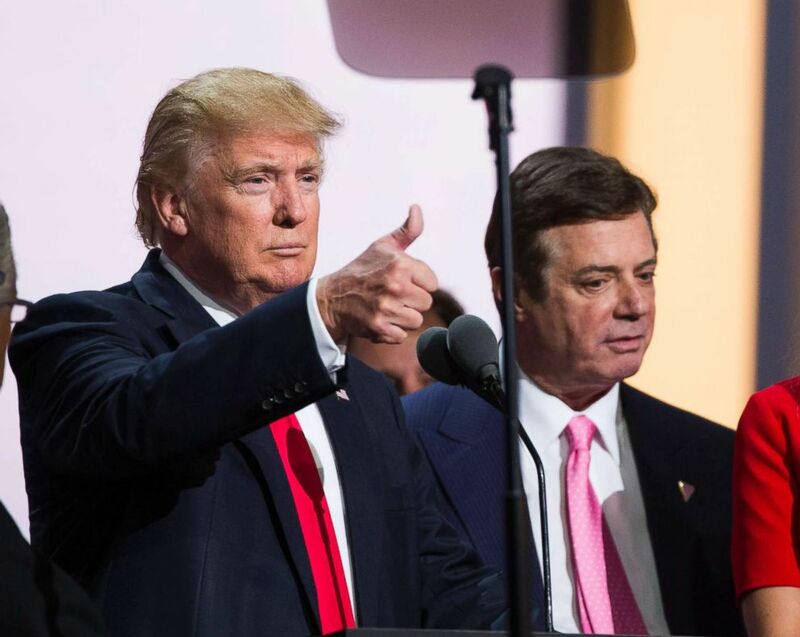 The charges in Washington, for which Manafort also has pleaded not guilty, center on a complex conspiracy to launder and hide tens of millions of dollars paid by Ukrainian politicians, a failure to register as an agent of a foreign power -- a legal requirement to lobby -- making false statements about that failure to file and the recently added charge of obstruction of justice, made after an alleged attempt by Manafort to tamper with witnesses. After an indictment on the later charge, the defendant was remanded to jail through his trials. Back in Virginia, Judge Ellis, 78, said he intends to allow prosecutors "some latitude" in recounting to the jury Manafort's work in Ukraine, but the irascible jurist cautioned, "Most people don’t distinguish between Ukrainians and Russians," adding, perhaps to lighten the mood, that he also would not allow any pictures of Russians "with scantily clad women." Andres, with a grin amidst laughter in the room, popped to the lectern to assure the judge, "There will be no pictures of scantily clad women. No pictures of Russians."